Close up on black man's face. Discuss HIV testing. B=yellowed. "If you think you are at risk for HIV infection, now’s the time to consider counseling and testing. If you test positive, work with a doctor to make decisions that are right for you. The earlier this happens, the more medical care can help." "Talk to a doctor, your health department, or other local AIDS resources. Call your State or local AIDS hotline or the National AIDS Hotline at 1-800-342-AIDS. Call 1-800-243-7889 (TT ) for deaf access." Order number: P554 (African-American male). CDC National AIDS Clearinghouse, Catalog of HIV and AIDS education and prevention materials September 1994, p. 13. 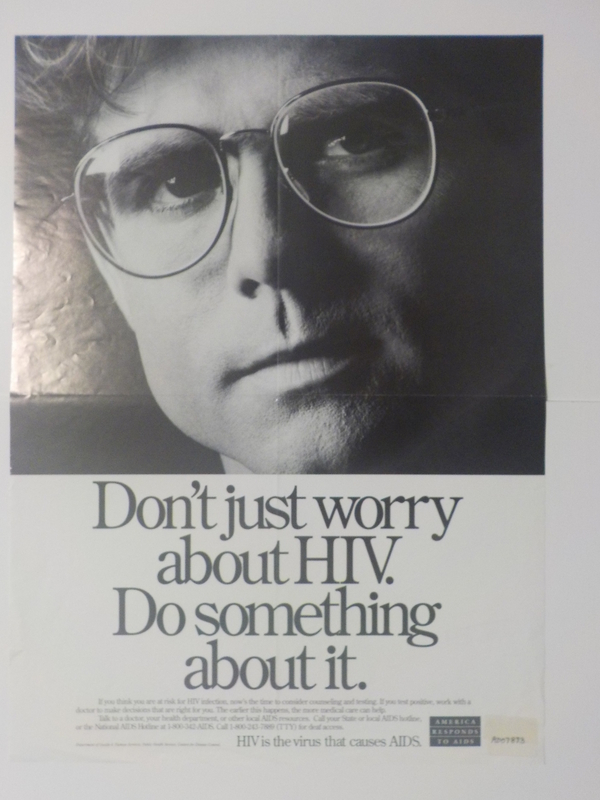 Aimed at people whose behavior makes them vulnerable to HIV infection, this poster promotes early counseling, testing, detection, and medical help.